Vibhu Kaushik, SCE principal manager in Generation is interviewed about the role of energy storage in supporting wind energy on the power grid. Pedro Pizarro, Edison International president and chief executive officer, responds to interview questions for an episode of the CNBC World series, Sustainable Energy. Transmission lines from the Tehachapi Renewable Transmission Project end at the Mira Loma substation, adjacent to the 20-megawatt battery storage facility. 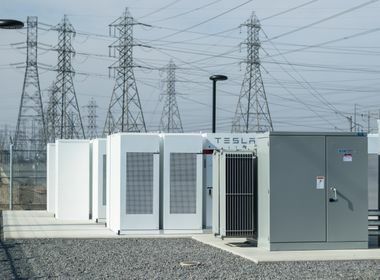 The utility’s Mira Loma battery storage facility shows how energy storage helps moderate the ups, downs of renewables. The episode, titled “Wind,” will take viewers around the world to explore cutting-edge technologies that can improve the usefulness of wind energy for the power grid. It features a wind farm in Africa, a pan-European grid network, a Spanish turbine design company and SCE’s ground-breaking work using battery storage to provide power to the grid when winds die down. 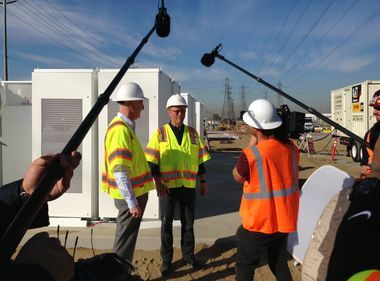 At SCE’s Mira Loma Peaker Generating Station in Ontario, the crew shot footage of the utility’s new battery energy storage facility which includes 396 Tesla Powerpacks that can store enough energy to power 15,000 homes. 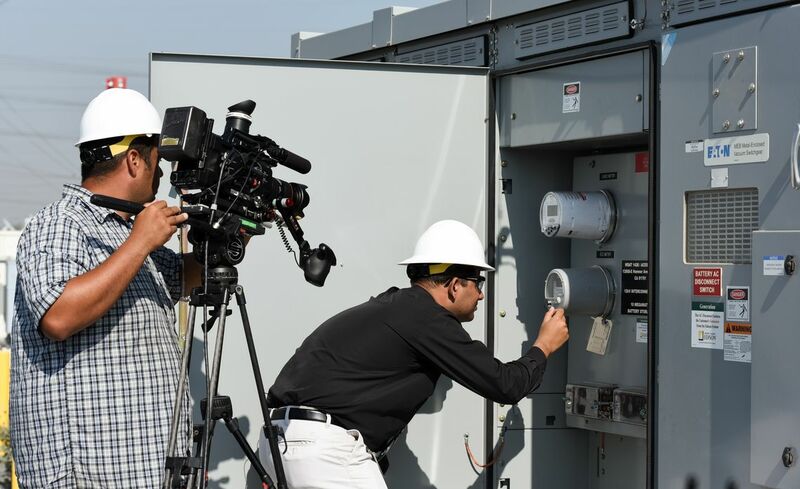 Vibhu Kaushik, SCE principal manager in Generation, reads meters for the CNBC film crew at the battery storage facility at the Mira Loma Peaker Generating Station. The Tehachapi Renewable Transmission Project ends just a few yards from the battery installation. The Tehachapi project added 173 miles of upgraded transmission lines to deliver power from wind turbines in Kern County’s high desert to homes and businesses in the Los Angeles Basin. 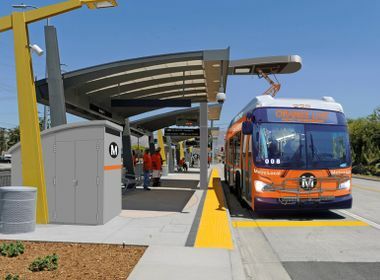 SCE’s Vibhu Kaushik, a principal manager in Generation, explained the connection between the batteries on the ground and the transmission lines overhead. Pedro Pizarro, Edison International’s president and CEO, in an interview at the Rush substation in Rosemead, discussed the value of wind and other renewables to SCE’s overall energy portfolio and the importance of energy storage as part of that future. 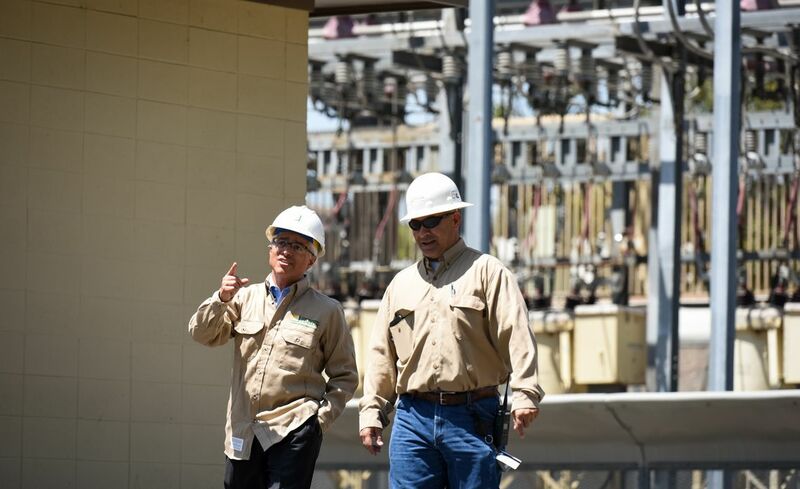 Pedro Pizarro (left), Edison International president and chief executive officer, and Ray Olguin (right), a substation operator at the Mesa switching center, tour the Rush substation for the CNBC camera crew. He noted SCE has been at the forefront of adopting cleaner power sources for decades. That includes signing what at the time was the largest wind energy contract in the U.S. to bring 1,500 megawatts of energy from Tehachapi to SCE customers. Energy from this and other renewable resources in the Tehachapi area is now being delivered to Mira Loma via the Tehachapi project. The energy could potentially be captured in the battery storage project onsite. Pizarro and Ray Olguin, a substation operator, toured the facility with the camera crew, demonstrating how substations function to step down energy to a lower voltage for delivery to homes and businesses. The episode will air on CNBC World in September and then be housed on CNBC.com.